It sizzles off the tongue, it’s the name of a great inventor, and after him, a unit of magnetic flux density, and it’s also a car, and in slang recreational drug, but where does it appear in song lyrics? Nikola Tesla (1856–1943). Unparalleled genius. So Tesla helped power the future, and the Tesla, also inspired by the sparky inventor, also refers to upmarket electric cars, such as the Tesla Model-5 or the Tesla Roadster. In lyrics it’s a popular word in plenty of hip hop, mentioned for example by by rappers Royce da 5'9" and N.O.R.E. Meanwhile to pop a tesla is slang for taking a strong, recreational drug, a pill that contains ecstasy, opiates and other substances, sometimes blue, but an orange tesla is also known. Teslas has also been coined as another word for a vivacious, attractive girl. But where does it come up in song? 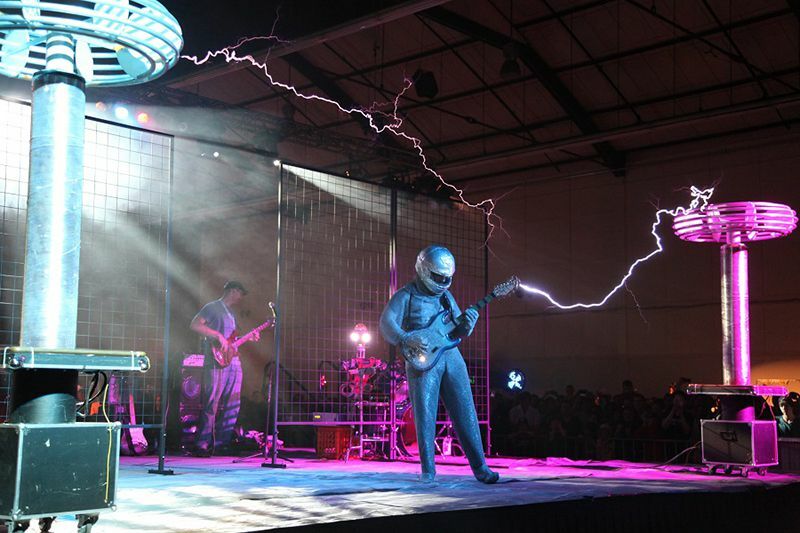 Aside from actual lyrics, the Austin-based group ArcAttack, led by Joe DiPrima, if all about using the Tesla coil, donning helmet and a Faraday suit, playing notes via wireless induction at high voltage. Here’s a version of Black Sabbath’s Iron Man. How can that knowledge be tamed? So then, do you have any sparky leads as to where Tesla the inventor, or tesla in its other definitions, crops up in song? Alternatively in any other cultural or scientific references? Feel free to create a buzz in comments below.